Out of Apple’s recently unveiled spring line up, one product in particular is stealing the limelight- iPhone SE. Looks wise, many conclude it to be the 4 inch version of iPhone 5S. Its specifications, however, are more similar to that of iPhone 6S’. Apple’s VP of product marketing, Greg Joswiak, explains, iPhone SE was designed on special demand from iPhone users who prefer smaller smartphones. Apple hasn’t launched any phones under 4.7 inches since the release of iPhone 6. Joswiak also referred to the new arrival as ‘the most powerful 4-inch phone ever’. The new iPhone SE comes in a metal body with a stainless steel Apple logo on the back. Along with its 4 inch IPS LCD display, it sports a Touch ID fingerprint scanner and a 12 megapixel iSight camera. The secondary camera is a 1.2 MP unit with retina flash. iPhone SE possesses the same processing power as iPhone 6s with an A9 chip and an M9 motion co-processor. The graphics configuration is four times more powerful than that of iPhone 5s’ with a PowerVR GT7600 GPU. A 1642mAh non removable battery is packed inside the small device. The smartphone runs on the latest iOS 9.3 and has Live photo support. 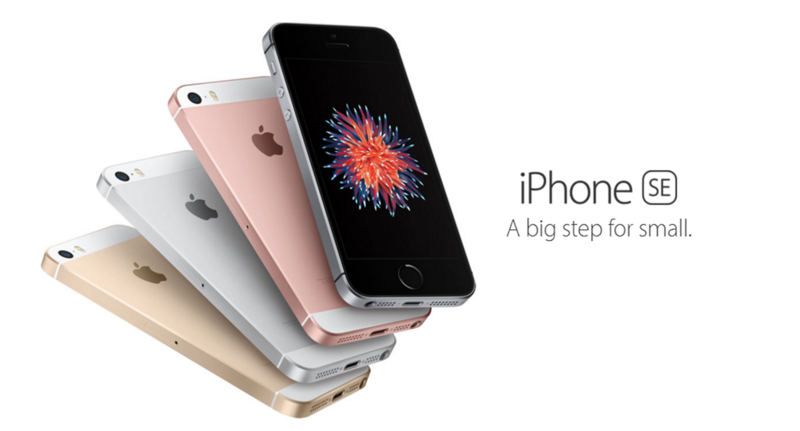 Apple will start taking orders for the iPhone SE on March 24. Shipments will have to wait until March 31. Space Gray, Silver, Gold and Rose Gold are the all the colors you can choose from for this device. Its 16GB variant starts at $399 whereas the 64GB version is listed at $499. Apple CEO, Tim Cook, shared his insight regarding Apple’s market and said that 60% of smaller iPhone users hadn’t upgraded to newer larger models yet. Though HTC, Samsung, LG, Motorolla and others are launching smaller models all the time, those tend to be budget phones. A premium smartphone with a smaller body has been of high demand for quite some time. For some reason, no other company had noticed or acted to cater to that popular demand. Are smaller premium phones exactly what the tech world needs right now? Share your thoughts with us in the comments section!